Markets have climbed to new highs in the recent month and that has given us good trending moves in a lot of stocks. The aim of reversal levels method is to ride those trending moves whenever they come along. Good trading starts with realistic expectations, so once a month we show the good, the bad and the ugly. In April Petrobras Argentina PZE was topping our list. That stock is still doing well but Shopify SHOP has taken over 1st place with a 118% gain in 96 days. The Buy signal was given on December 28 when SHOP could be picked up at $43.53. It now trades at $94.93 and there may be more to come. 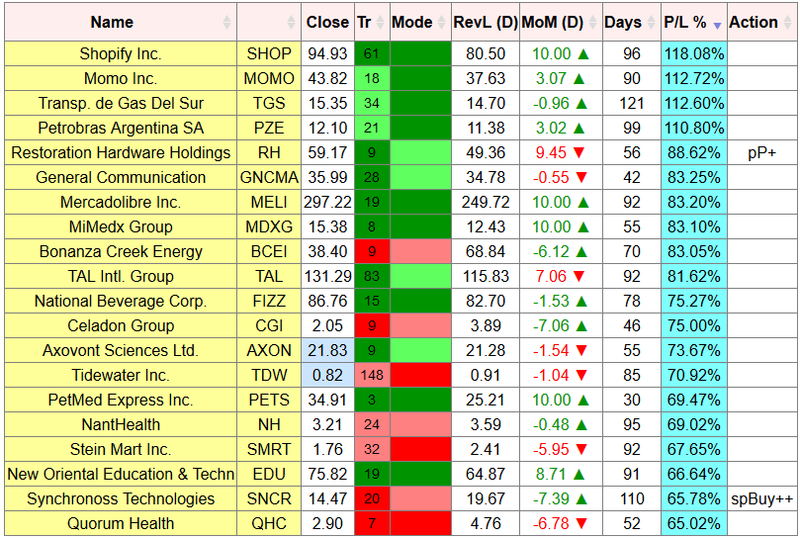 Second is MOMO with an 112% gain in 90 days and TGS comes third with 112% gain in 121 days. Those moves are not finished, stocks are held until their next Sell signal (or Buy signal for a short position). 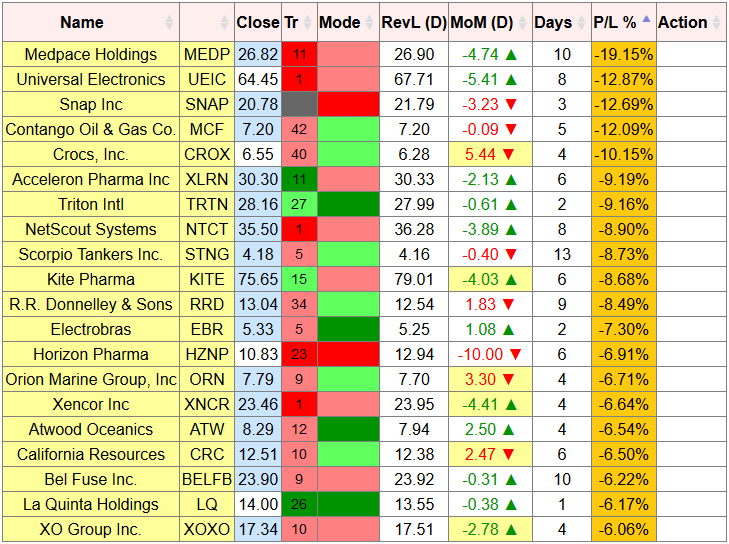 The worst trades are short MEDP (-19%), followed by short UEIC (-12%) and short SNAP (-6%). We keep losses small.